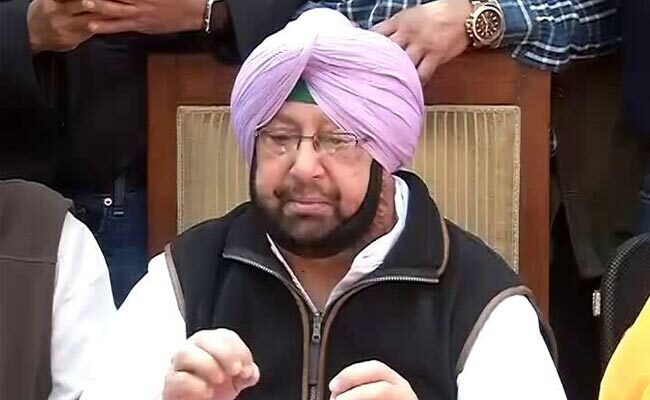 Punjab Chief Minister Amarinder Singh today hailed the sweeping Congress victory in the just concluded panchayat polls in the state. Describing it as a victory of democracy and a clear vindication of his government's policies, Amarinder Singh pointed out that 80.38 per cent out of the over 1.27 crore eligible voters exercised their franchise in the Panchayat elections held on Sunday. "Of the 13,175 sarpanches (village headman) elected so far, 11,241 belong to the Congress, with Shiromani Akali Dal (SAD) and BJP accounting for only 981 and 100 respectively. Other smaller parties and independents accounted for 813 of the elected sarpanches," he said in a statement. "The Aam Aadmi Party (AAP) has suffered another ignominious electoral defeat, indicating that it had become completely irrelevant and was a non-entity in Punjab," he added. The Chief Minister congratulated the people of Punjab for ensuring a largely peaceful poll with record polling percentage. Of the 17,268 booths in which polling was held, re-poll was ordered in a mere 14, the Chief Minister pointed out, lauding the security forces for maintaining law and order during the elections "despite attempts by the opposition to trigger trouble". "Undeterred by the false propaganda unleashed by the opposition parties against the Congress government, the voters came out in large numbers without fear to cast their votes in favour of (Congress) candidates," he added. "This shows that the disillusionment of the electorate with the SAD and other opposition parties, including the BJP and AAP, was complete. The people of Punjab were no longer willing to be misled by the canards being spread by these parties," he said. Amarinder Singh said that the Panchayat polls indicated the palpable pro-Congress mood in the state ahead of the Lok Sabha elections. "The negative campaigning of the opposition, which was clearly bereft of any positive agenda, had also contributed to the Congress victory in the Panchayat elections and would continue to stand the party in good stead in the Lok Sabha polls," he added. The Congress came to power after Assembly elections in March 2017.